I fancied having a play with Apple Interface Builder to remove the margins in Cocoalicious, and moving the buttons and search to the bottom, mimicking Newsfire. Here’s the result! 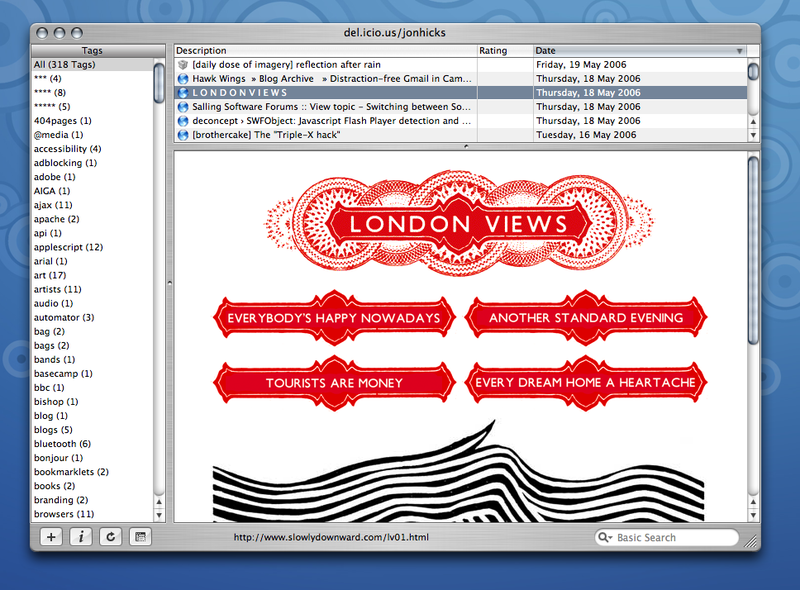 (Click image for original size) | The site in the screenshot is London Views, the work of Radiohead’s artist-in-residence Stanley Donwood. Ctrl-click on Cocoalicious, choose “show package contents” and then go to Contents > Resources > English.lproj and replace the ‘MainMenu.nib’ file with the one in the download folder. Best back up first!